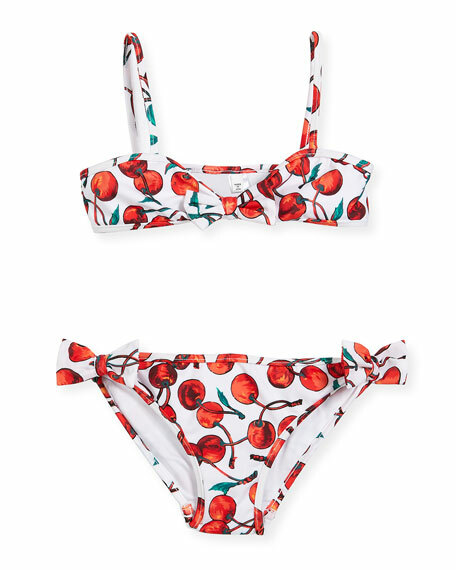 Milly Minis two-piece bikini in cherry print. Bow detail at chest and hips. For in-store inquiries, use sku #2437179.